Find databases that are compatible with mobile devices. Requires pairing with your mobile device. For access visit www.annualreviews.org from your mobile device while on-campus using the UNLV secure wireless. Your mobile device will be automatically paired with your institution’s access rights. The pairing gives you to access content while offsite for six months, and will be refreshed each time you access the Annual Reviews website while on campus. If you cannot access an authenticated wi-fi network, you may also manually pair your mobile device. For further assistance contact: mobile@annualreviews.org or see the Annual Reviews Mobile Development page. Critical reviews of scholarly literature in multiple disciplines in the sciences and social sciences. 1. Go to Cambridge Journals Mobile Site while on-campus using the UNLV secure wireless network and visit the Twin This Device page . 3. On your device go to the Twin This Device page - login and enter the twinning code. 4. Your device will be twinned to your library's collection for 90 days. Journals from Cambridge University Press. All Smartphones and tablets are now auto-detected and automatically directed to the new EBSCOhost MobileAccess website, with the exception of iPads, which are directed to the full desktop version of EBSCOhost. If you are not using the UNLV wireless network, you will need to log on with your barcode and PIN to access content. More than 30 databases indexing all subject areas with a heavy focus on business, education, film, health, psychology, sociology, and sports. Access to full-text articles is available when using UNLV wireless from on-campus. Off-campus you can log into IEEE Xplore by switching to the full site when using a mobile device with PDF viewing capability. Article abstracts are available to email to yourself both on- and off-campus. JSOR mobile allows you to search JSTOR and email yourself citations, which can be viewed when on-campus or logged into the UNLV Libraries site from off-campus. Off-campus users will need to log into JSTOR with their UNLV Libraries off-campus access information (barcode + PIN). An archive of more than 700 important scholarly journals covering business, ecology, education, ethnic studies, history, literature, mathematics, music, philosophy, political science, and sociology with content ending 3-5 years ago. Users on the UNLV wireless system will have seamless access to the mobile site. Off-campus users will need to log into LexisNexis Academic with their UNLV Libraries off-campus access information (barcode + PIN). Mobile use is automatically detected for supported journals and users will be automatically provided with the mobile version. On-campus users, including wireless, will not need to log in. Off-campus users will need their UNLV Libraries off-campus access information (barcode + PIN) to access content. Problems with mobile access can be emailed to institutions@nature.com. An international journal, published weekly, with original, groundbreaking research spanning all of the scientific disciplines. Mobile use is automatically detected for supported journals and users will be automatically provided with the mobile version. Users on the UNLV wireless system will have seamless access to the mobile site. Off-campus users will need to log into ProQuest with their UNLV Libraries off-campus access information (barcode + PIN). Search all databases provided by ProQuest. You will be automatically directed to the PubMed mobile platform. Over 22 million citations from medical and life sciences journals. The majority of citations are from Medline. Refworks allows you to log into your RefWorks account via a mobile device. You will need the UNLV Groupcode, which is RWUNLV. Not all functionality is available. You can search within your RefWorks account, view all references and file attachments (if the attachment type is supported by your mobile device), view references by folder, add or remove references to/from a folder, create new folders, enter new references via SmartAdd, first author and pub year, or partial title, and add comments or text to the Notes field of your references. 2. Click the Mobile link at the top of the screen. 3. You will be directed to a page where you can sign in or register to receive a mobile pairing code. Save the code once you have received it – you will then be able to use it for five minutes. 4. On your mobile device, go to the mobile version of Taylor & Francis, tap the Settings icon and select Device Pairing. 5. Log in, then enter the pairing code and tap Verify Code. 6. Go to My Account to check your pairing status. Journals and other content published by Taylor & Francis. Web of Knowledge Mobile is optimized for smart phones. To use Anywhere/Anytime Access, you must have a Web of Knowledge username and password and you are required to log in to Web of Knowledge from an IP authenticated computer (on campus at UNLV or off-campus logged in via your barcode and PIN) or device every six months to verify you are an authorized user. If you do not have a username and password for Web of Knowledge you need to go to webofknowledge.com from an IP authenticated computer (either on UNLV campus or logged on offcampus with your barcode and PIN). Click Sign In along the top navigation then click register to create a new account. You will be asked to enter your email address to verify that an account does not already exist for you. If an account does not already exist, you will be prompted to fill in the User Registration page. After the username and password you have entered is verified, it will become active. WorldCat Mobile is automatically optimized for mobile use. Access to ACS Journals including an indexed list of more than 35,000 research articles published annually, complete with graphical and text abstracts. Includes full-text article access for ACS journals the UNLV Libraries subscribes to. Available for Apple and Android. Mobile apps require a download to your device before use. 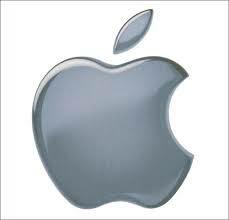 They are created for a specific operating system (apple, android, blackberry). Below you will find links to the downloads for various library resources. This free app allows you to search subscribed content provided by UNLV Libraries. It enables users to choose which databases to search; limit results to full text or peer reviewed; sort by relevance or date; and retrieve full text results in HTML and/or PDF formats. You can also save or e-mail results. Available for Apple and Android. This app allows you to view image-based PDFs, access content by citation, browse by volume, navigate a volume with the electronic table of contents, and use full advanced searching techniques of Hein Online. Available for Apple. Download the latest issues of Nature to browse at your convenience, zoom in on figures and images, save your searches, synchronize your bookmarks across devices and share your favorite articles. Available for Apple. Social Science Research Network (SSRN) is a world wide collaborative of over 241,000 authors and more than 1.7 million users that is devoted to the rapid worldwide dissemination of social science research. It includes abstracts and full-text papers. Available for Apple. This free app provides a valuable set of features including: personalized searches; advanced searching; document details - including abstracts; ability to bookmark and save documents for easy access later; and ability to share document summaries with colleagues. Available for Apple. Please contact the Research & Information Desk for additional assistance.